Considering the multitude of sensors and special features we get in modern cars, it’s more than clear that technology is already impacting the automotive industry. Still, there is plenty of room for improvement, as we’ll see a few rows below. Now, in order to understand how future technologies will shape the automotive industry of tomorrow, let’s take a quick look to technologies we use (and maybe take for granted) today. 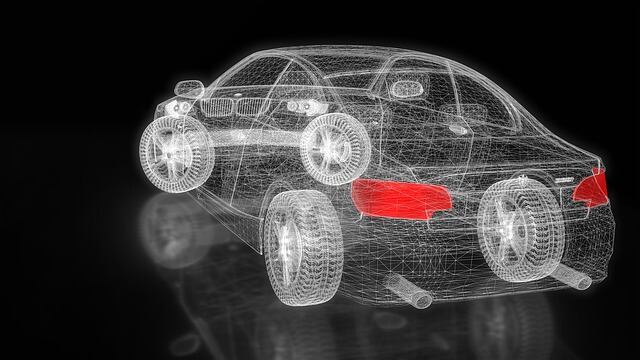 How Technology is Shaping the Auto Industry Today? Radar cruise control – the cruise control feature where the car maintains a constant speed is not a novelty in the industry, but radar cruise control is. This feature allows the car to lock on the vehicle in front in order to maintain a safe distance while going at a constant speed. Electronic LSD (Limited-Slip Differentials) – This type of differential provides the best performance on the market yet. The tech has the possibility to send power to the wheel that needs it the most, and lock or unlock wheels as needed. Anti-collision warning systems – There are several designs for such systems, but their main job is to warn the driver when they feel a collision is imminent and even apply the brake without human assistance. Lane departure warning systems – This system is designed to warn the driver if the vehicle is in danger of leaving the lane (usually happens when the driver is not careful to the road). These can come with Lane Keeping Assistant, a system that will steer the car back in the lane if you’re drifting away. Of course, the list can go on with parking sensors, tire pressure sensors, and more, but if you got to here, you should have an idea of how technology improved our driving. But technology didn’t stop here! It also improved the way we sell our vehicles by allowing online platforms to create virtual spaces where both buyers and sellers can meet in a safe environment. One is https://www.autovolo.co.uk/, but there are other similar sites you can try without having to leave the comfort of your home. Well, the near future (following couple of years) wants us prepared for the self-driving vehicle. As you can imagine, this is more of a technical marvel than a car. Furthermore, most self-driving vehicles will work on electricity, so gas cars may become obsolete anytime soon. In the long run, specialists predict vehicles will have a different shape, that doesn’t revolve around a human driver, and that the personal vehicle will go extinct. In the not-so-far-along future, we won’t own vehicles anymore. Instead, we’ll be able to summon a vehicle anytime we want, using an app. This way, you no longer have to worry about maintenance, insurance, and other pesky details that make owning a car a pretty expensive endeavor. Put plainly, technology will completely change the way we think about cars. It will also change the way we use them, making travel a more pleasurable experience. Finally, it will also shape the way our cities look since we won’t need that many parking spots and there will be less air and noise pollution around. How Much is Your Tech Debt Costing?